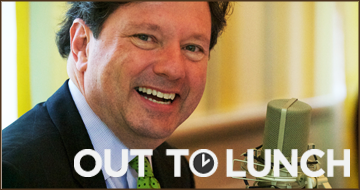 Last week, Ember Networks was featured on “It’s New Orleans – Out to Lunch“, a NOLA based radio program featuring prominent business leaders in the New Orleans community. The show is hosted by Tulane professor finance professor Peter Ricchiuti and includes special guests Amy Wendel of Hove Parfumeur and Jerry Strahan of Lucky Dogs. I’d like to extend a special thank you to Grant Morris who made this opportunity possible. Mr. Morris contacted sent an email my way after reading my piece on Wearable Technology on Silicon Bayou News. It’s a true pleasure to be included on such a fantastic program and I can’t wait to be in a position to “pay it forward” on a future episode. Catch the stream, download, or iTunes link on It’s New Orleans and give them some love on Twitter and Facebook.